It’s been a few years since an engine has hit the market that seems to be so spot-on to its intended audience. The Polaris Patriot 850 engine is exactly what this customer is looking for. It is smooth, responsive and delivers all of the pull a guy could want on the trail. The 850’s trail manners are impeccable. 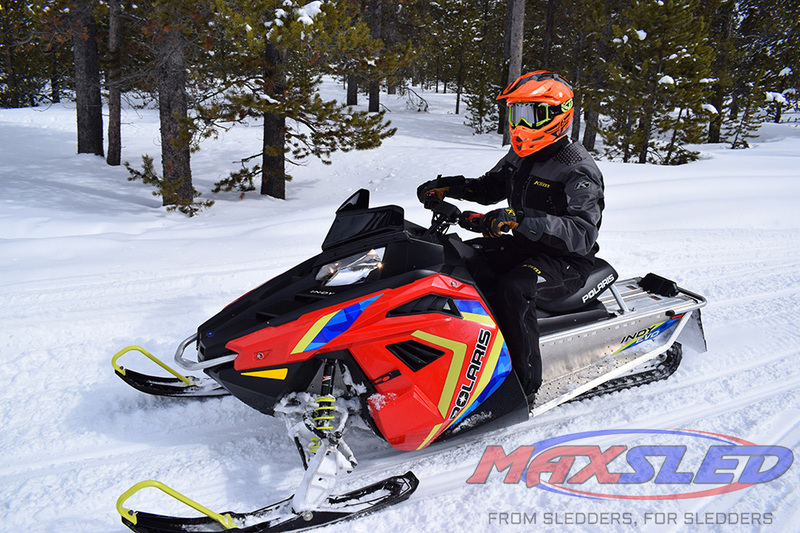 Regardless of the sled it was in, the engine behaved itself at moderate speed, responding quickly and potently anytime I cracked the throttle. 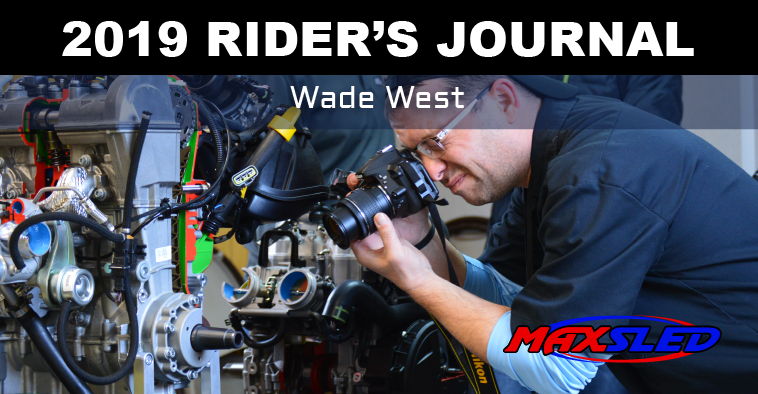 In reality, it behaved like a 600 in tight and twisty wooded trails, when you’re in and out of the throttle. But when the trail opens up, or you’ve got a whole lot of wide-open lake in front of you, the Patriot delivers a muscular pull like few engines have. Polaris is only offering the 850 Patriot engine package during its Snow Check spring sales program. 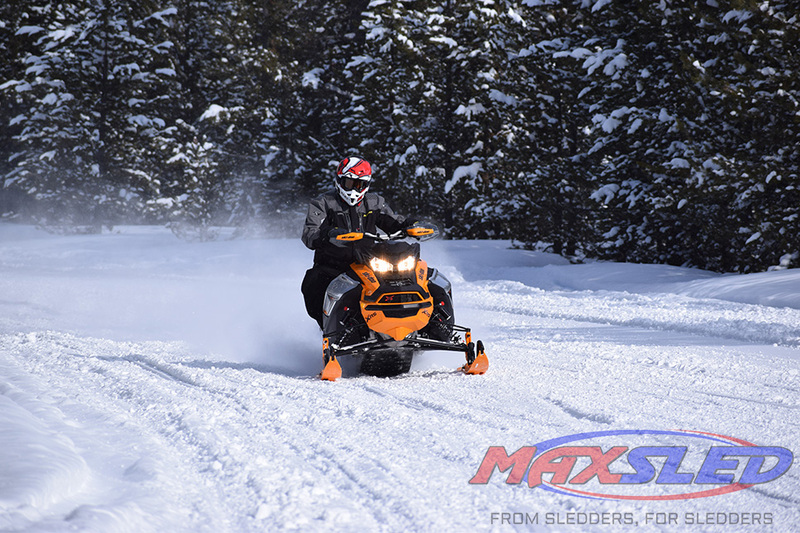 Fortunately, it is available in nearly all of the AXYS chassis sport model configurations. So, no matter how or where you ride, there is an option for you. Interestingly, Polaris is also putting a full 4-year warranty on the engine to give you confidence in the engine’s durability and reliability. 4-year warranty on a first-year engine… it’s tough to pass on that! So get to your Polaris dealer and get your name on an 850 with a deposit! There have been plenty of cockpit-controlled suspension adjustment systems over the years. From the old ZR 440 racer’s crank adjustment sticking out of the hood near the steering post, to the Ohlins electric rebound control on the Apex, to the M-10 with ACE to the Air Ski-Doo compressor system. Every manufacturer has tried them, most have faded into memory. 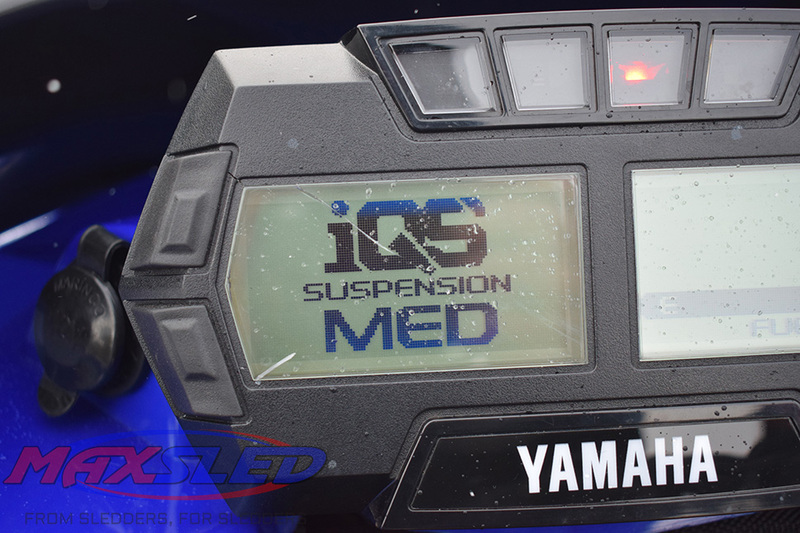 But the new iACT/iQS electronic shock adjustment system on many of the Arctic Cat and Yamaha models is one that has great potential to stick around. First, it is simple to figure out. There are three settings—soft, medium and firm. Second, all three of the shocks in the system are synchronized so you never get a mismatched shock setup. Third, the adjustment happens in about 2-thenths of a second, so by the time you think about the change, it’s already been completed. That’s pretty darn slick! There is a lot of talk about Ski-Doo’s new 600R engine… and with good reason. It delivers the best riding experience in the class! 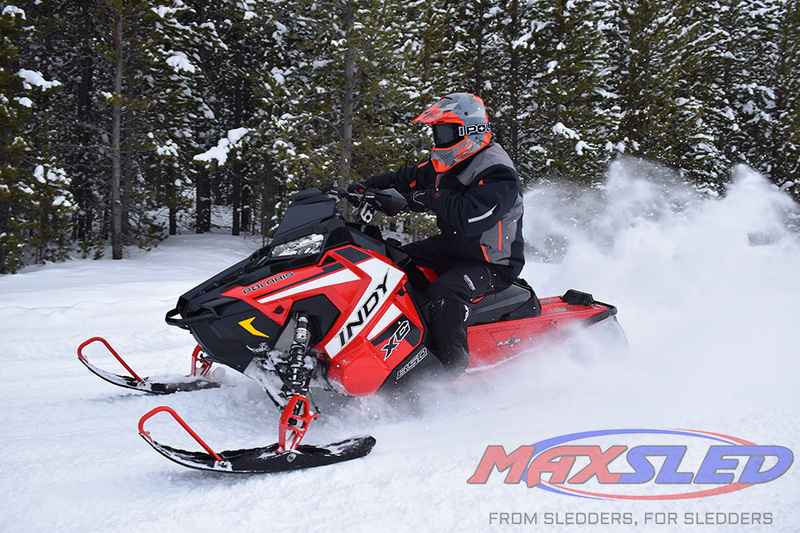 The engine’s mid-120 horsepower comes on smooth and predictable, especially when combined with Ski-Doo’s updated pDrive clutch system. It really is the most refined 600-class engine I’ve ever come across. It doesn’t shake, rattle or buzz through the chassis. It responds politely to the slightest throttle input. It was never jerky, just smooth and fun. I had the opportunity to ride a Renegade 600R for almost an entire session at Snow Shoot and it was just plain fantastic. 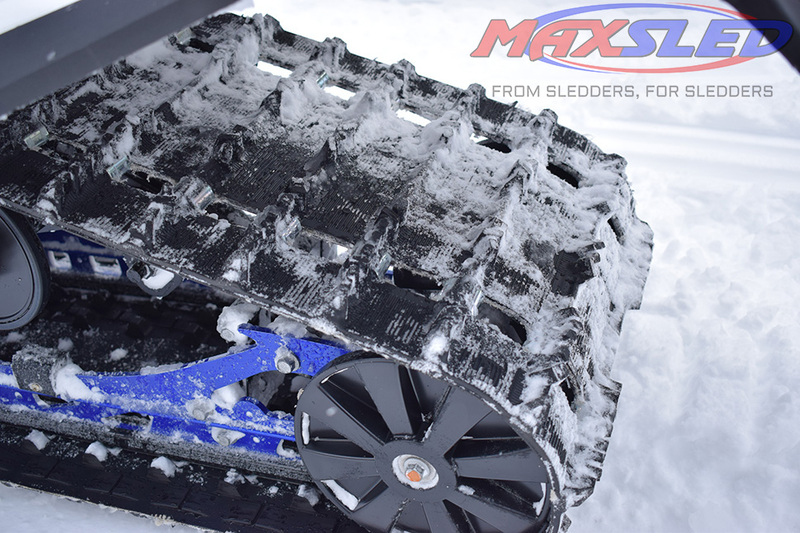 If you’re in the market for a Ski-Doo, this engine package deserves your long consideration. Even if you think you want the 850R engine, you need to really contemplate the 600R option. The top speed you give up, will be more than compensated by the smaller engine’s excellent manners, sharp performance and quickness through the midrange. For real, go the 600R route! Yamaha has chased cornering handling and control for years. Pretty much since the dawn of the 4-stroke adventure. I think they finally have it solved! The new Sidewinder SRX corners way better than the other Sidewinder models I rode, and it has to be the lower ride height, combined with the short-lug 1-inch Rip Saw track. You can actually power your way though the turns on the SRX. 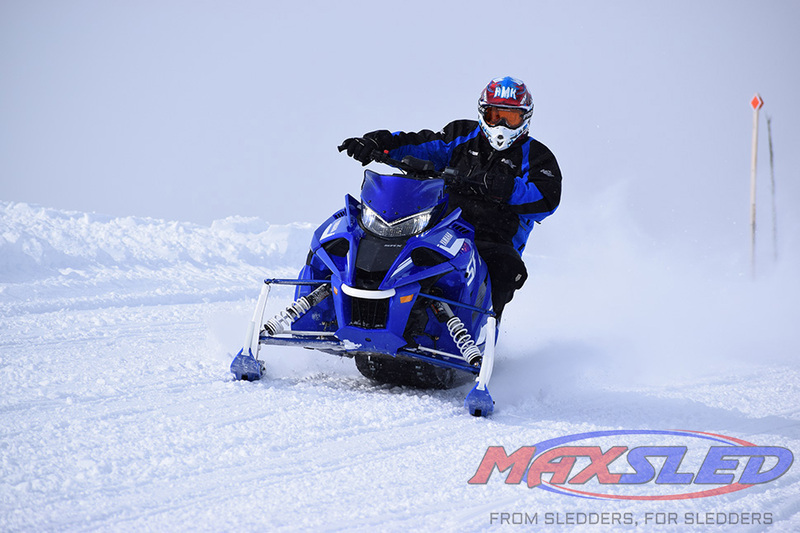 Riding the other variations, I felt like I had to do more guiding and readjusting the sled. I love that the track breaks loose. I think by releasing energy with some sideslip, the SRX is able to stay flat, which, combined with the lower ride height, brings the fun back into riding. It certainly doesn’t hurt the SRX’s appeal to be fully blued out, from tip to tail, including the tunnel paint job. It also doesn’t hurt the SRX’s appeal to be spot-on in terms of engine performance and clutching theory. I count myself among the fans of how Yamaha approaches clutching. I know there are a lot of options and ideas on the market for how an engine should respond. I like my sleds to be crisp and reactive immediately. That’s what the SRX has going for it. Time is of the essence, though. Yamaha is only making the SRX, and most of the really good models in general, available through the spring Power Surge timeline. 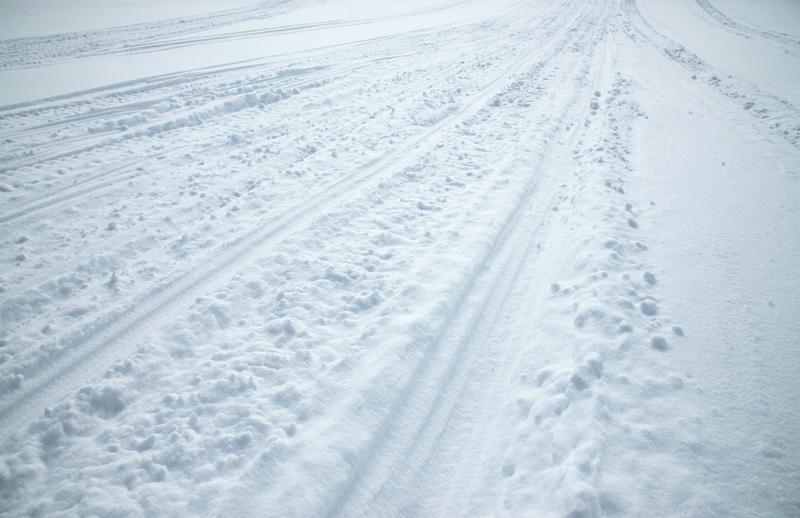 So, get your deposit money out and get in to secure your sled. 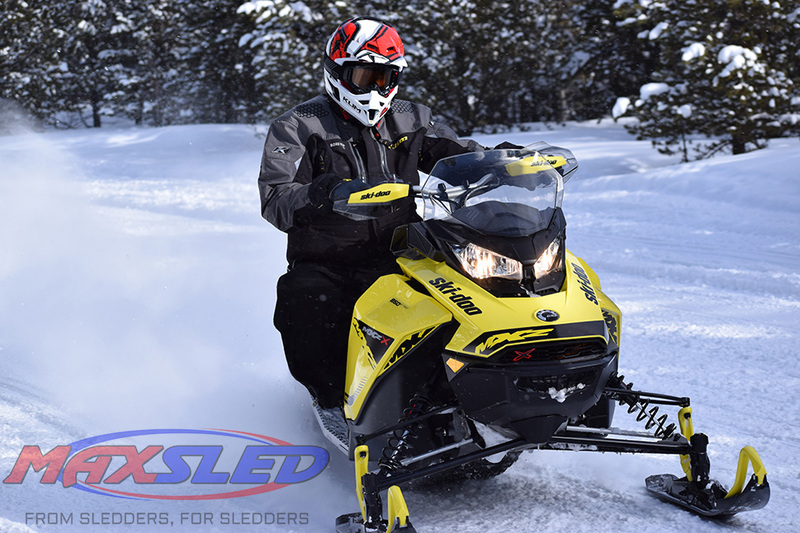 If you don’t, there are only going to be a handful of sleds available in the Yamaha dealer network. Polaris has a really fun sled in the Indy Evo! I was very impressed by the performance level that the Evo delivered, with its 550 fan engine. 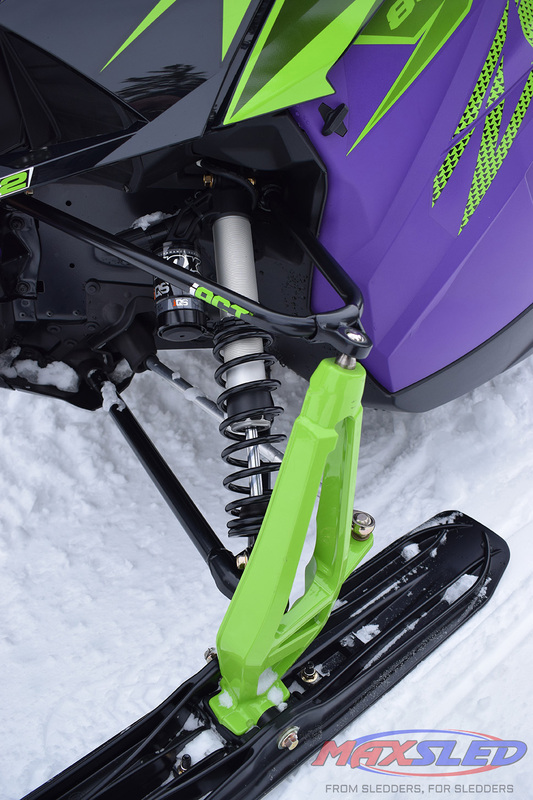 Polaris governs the sled at 50 miles per hour out of the box, and it never, even once, surpassed that speed. However, the sled is clutched and geared to get up to 50 in a pretty quick way, even for the dads at elevation. It will certainly do that better down where the air is thick. And then consider the fact that when your new rider is fully comfortable and confident, you can release the speed control and widen the front end to give it appropriate handling. That’s a great value for bringing a new rider into the sport, regardless of age! Suspension design and calibration has come a long, long way in the past few years. While it used to be common for the high performance, ditch banging, rough trail models to be set up so harshly and stiff that they were actually not much fun to ride, those same models are now engineered and calibrated to deliver a great ride experience for mere mortals, with the easy opportunity to prevent harsh bottoming, either through external adjustments or by progressive rate engineering. 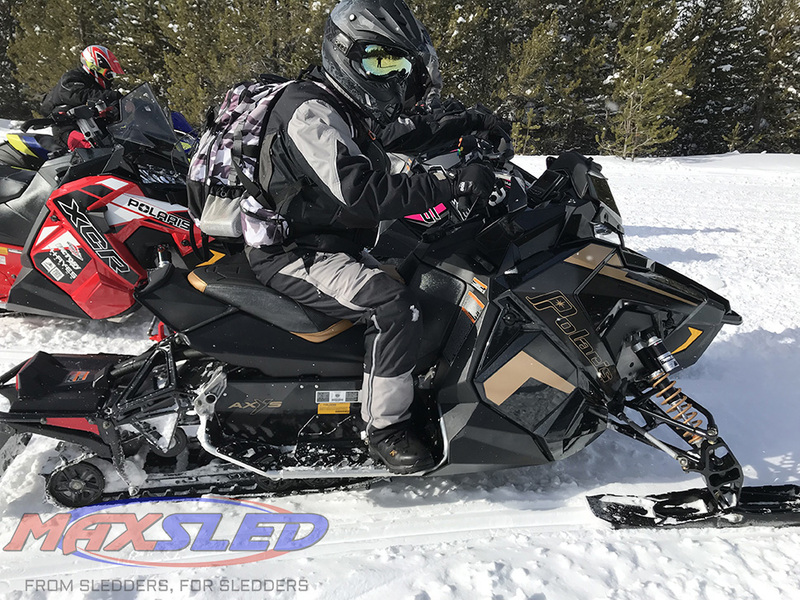 Regardless of which sled you choose, I don’t think you’ll be disappointed, as long as you are straight with your dealer about how you ride and what you really want out of your sled. I have my favorites, and so does everyone else. There are plenty of distinct options and directions to go in 2019. The time is now to get to a dealership and make your choice. The big promotions are coming to an end for the spring!